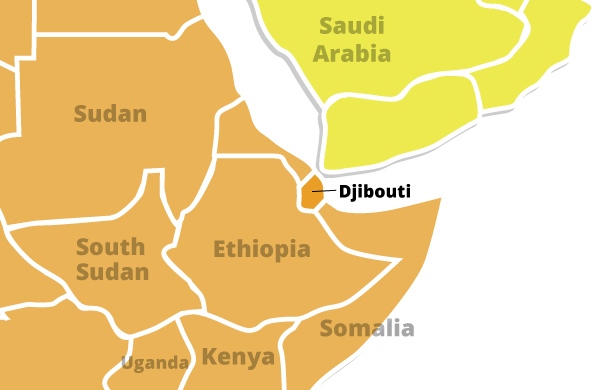 Djibouti's economy is based on service activities connected with the country's strategic location as a deepwater port on the Red Sea. Three-fourths of Djibouti's inhabitants live in the capital city; the remainder is mostly nomadic herders. Scant rainfall limits crop production to small quantities of fruits and vegetables, and most food must be imported. Djibouti provides services as both a transit port for the region and an international transshipment and refueling center. Living conditions vary widely. Wealthy upper-class Arab businessmen and the educated Afars and Somalis live comfortably in Western-style cities. In rural areas, under-nourished herders have few possessions and scrawny livestock. Government and Catholic relief organizations provide some humanitarian aid to impoverished people. Life for women is hard, as it is generally among nomadic peoples across Africa. In 1992, the average life expectancy in Djibouti was only forty-nine years.